This was how John Finley, 61, a former member of the Royal Navy recently described his feelings about Malta and about Strait Street when he was shown round the famous alley by Valletta 2018 Foundation Chairman, Jason Micallef. Mr Finley was in Malta on a two-week’s holiday with his family. 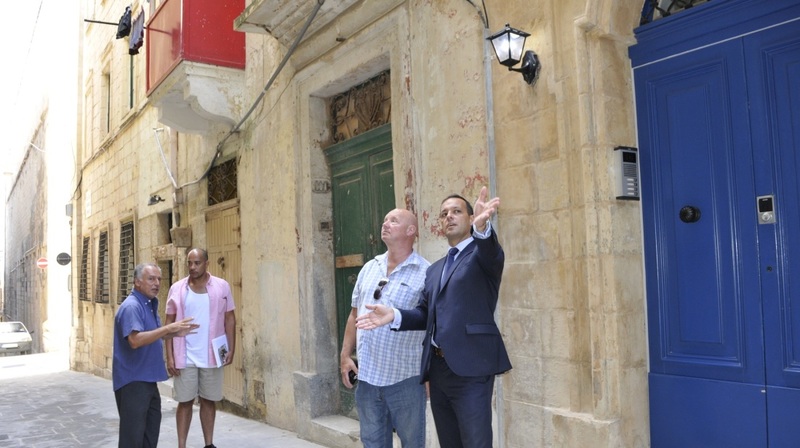 During the detailed tour, Mr Micallef explained how Valletta 2018 views the rejuvination of Strait Street. “Business operators and entrepreneurs have latched onto the lead initiated by the Valletta 2018 Foundation and are investing money and talent in setting up establishments that will recapture the sparkle this famous street was once celebrated for. “Our aim is that the culimination of 2018 when Valletta will be crowned European Capital of Culture will leave in its wake a sea of seminal ventures which will thrive to make Malta’s capital one of the top cities in Europe and make the rest of the island richer both culturally and financially,” Mr Micallef said. Mr Finley was accompanied on this walkabout by Joshua Terry, a relative of his who is a digital arts student at John Moores Univesity in Liverpool and by George Cini, a researcher on Strait Street. Mr Cini said that he was expecting a sequel to his first book to be published by the end of this month. The new book is titled Strada Stretta Aktar dawl fuq it-triq li darba xegħlet il-Belt. Mr Finley recalled how together with his mates he used to gone down Strait Street and consume great quantities of beer. “Even though we knew we were buying drinks for the barmaids with every round, we enjoyed their company, the lights and the music and went down the Gut as a matter of course,” he said.